Zhou Xun: The Creation of the Night Banquet ! September 15, 2005 - Beijing local newspaper The Beijing News just published a series of exclusive reports on the preproduction of director Feng Xiaogang’s Ye Yan (literal title: The Night Banquet). The project started with a screenplay titled The Sword Prince based on William Shakespeare's Hamlet, penned by Chiu-Tai An-Ping (The Actress, Rough, Love Unto Waist). Director Feng Xiaogang did not like the story which was too close to the original and brought in TV writer Shen Heyu to do a rewrite. The result was an original story about how people were destroyed by their own greed. It is set in the Five Dynasties and Ten Kingdoms Period (907 - 979), probably the most chaotic era in the history of China. Emperor Li is played by Ge You, who appeared in every film by Feng Xiaogang since 1997. Got the throne by murdering the previous emperor, his older brother, Li is willing to do anything to withhold his power. He suspects everyone around, the empress, the crown prince and the ministers, is trying to betray him and he plans to remove every threat at a night banquet. The role of Empress Wan was originally a mid-age woman, specifically wrote for Gong Li. After Gong turned it down due to schedule conflict, it eventually went to Zhang Ziyi. The role was also changed from the mother of the crown prince to the step-mother of the crown prince, who is even younger than the prince. Zhang Ziyi once prepared to do only one film this year, Memoirs of a Geisha, because she would be busy on the doing the film's post-production and promotion for the rest of the year. But the project was so interesting and she persuaded her agent to let her take the role. The Empress was once married to the previous emperor and after her husband was killed by the new emperor, she remarried to the murderer just for protecting the life of hers and the crown prince's, but she is also motivated by the greed for power. Hong Kong actor Daniel Wu plays Crown Prince Wu Luan, who is the son of the previous emperor. Lives in the shadow of his father's murderer, the very sad prince forces himself to enjoy dancing everyday. Wu said he got to fight more than anyone else and the moves action director Yuen Wo-Ping designed for him were very unusual. 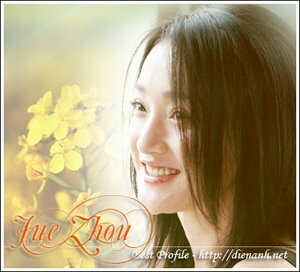 Zhou Xun plays Qing Nü, daughter of the Minister (Ma Jingwu). She has been engaged to the crown prince and is blinded by the love of her fiancé. Huang Xiaoming plays Yin Zhun, the arrogant young son of the Minister. He loves her little sister and has great respect of their father. Production designer Tim Yip created 20 different sets and the largest is the inertial of a grand hall. It is 180 meters long, 60 meters wide and 20 meters wide, which was larger than a football field. Tim Yip said the feel of Shakespeare was blended into his design of the places. The basic color is dark brown with some dark red and gold and the light will be very dim in order to create a ghostly feeling for the palace. Composer Tan Dun is trying something different this time, different from what he did for Crouching Tiger, Hidden Dragon. He said the music for Ye Yan would be very classic and aesthetic, and would become very modern and Rock 'n Roll toward the end of the film. The style of the music for fight scenes will also change frequently. Sometimes it will sounds like a ballet, sometimes it will sounds like an opera and sometimes it will sounds like a Chinese opera.